Save AED 11 (29.73%) – Earn 2 Shukrans What is Shukran? Shukran is the Landmark Group’s award-winning loyalty programme in the Middle East, which allows you to earn Shukrans when you shop any of our brands. Get these pacifiers for your little ones and settle them to sleep easily. 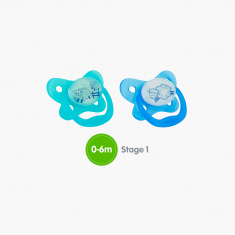 Each pacifier sports an attractive print that glows at night to help you find it with ease and to draw attention of your little one. 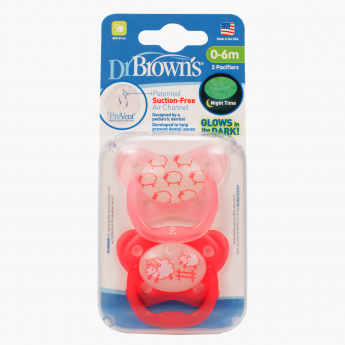 Made from a high-quality material, these pacifiers are great for the sensitive gums of your little one.